Tesla’s stock shot up sharply today after the company’s billionaire CEO, Elon Musk, tweeted that he was considering taking Tesla private at a price of $420 a share. When the tweet-sized bombshell hit, Tesla’s stock was already trading higher thanks to reports that a Saudi investment firm had amassed a 3 to 5 percent stake in Tesla. 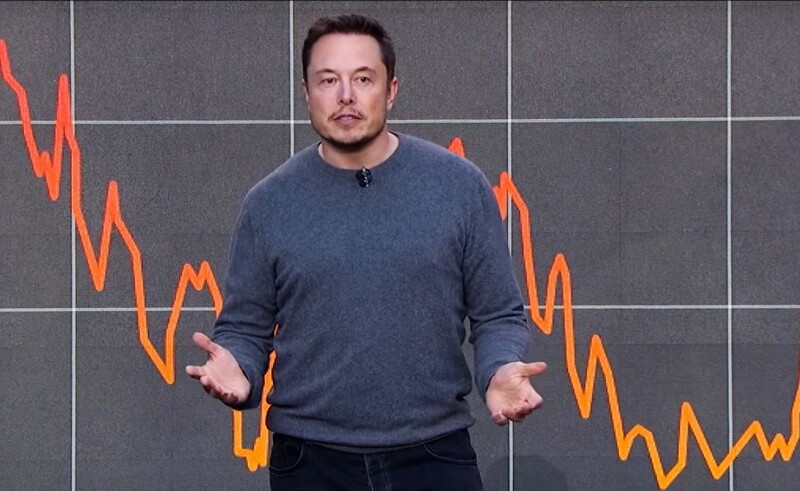 Prices seesawed in the range of $360 to $370, representing a roughly 7 to 8 percent rise, while investors tried to decide whether Musk was joking. It didn’t help that some interpreted $420 as a veiled reference to 4-20, which is a magic number for marijuana users. At $420 a share, Tesla’s valuation would be in the range of $72 billion. When NASDAQ trading was stopped, Tesla’s shares were at $366.94, a 7.3 percent gain. When trading resumed, prices reached beyond $380 but ended the trading day just below that mark, adding up to a rise of nearly 11 percent over the previous day’s close. The gap between $380 and $420 reflects market uncertainty over whether the deal will go through as described. This entry was posted in GeekWire and tagged Automobiles, Business, Elon Musk, Technology, Tesla Motors. Bookmark the permalink.